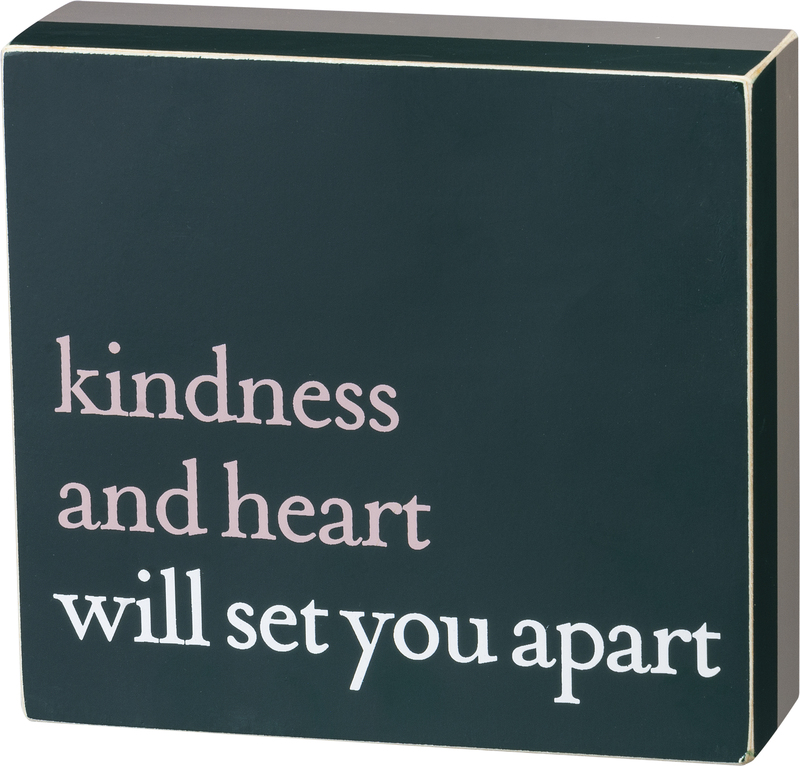 A chic wooden box sign featuring a "Kindness And Heart Will Set You Apart" sentiment in a blush, emerald, and metallic palette. Easy to hang or can free-stand alone. Complements well with coordinating pieces in collection for an inspiring display. Size: 6" x 5.50" x 1.75"